1950s minivan concept by Brooks Stevens based on the FC-150 (which he also designed. And the Wagoneer. 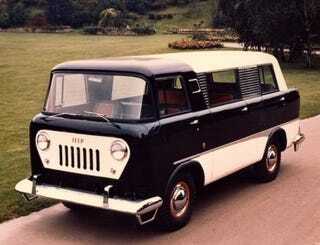 And the Willys Wagon. Epic). Three were built. None known to survive. Find one and you’d almost certainly have the most valuable minivan on the planet.